With no real previous experience of practical horticulture, Humphry Repton introduced the phrase ‘landscape gardening’ to the English language. He became an overnight success due, in part, to the unique way in which he helped clients visualise his designs. His famous Red Books (so called for their binding) came complete with explanatory text and watercolour overlays showing 'before' and 'after' views. Whereas his predecessor, Lancelot ‘Capability’ Brown worked almost exclusively for the wealthiest aristocrats, carving out their great estates, Repton mostly fine-tuned earlier work, including that of Brown, or received commissions from smaller estates and the new gentry. Where offered the opportunity to lay out grounds from scratch, Repton’s commissions were generally on a much more modest scale than Brown. Of some 400 known commissions (many of which were never completed, or recorded), three previously overlooked sites are in Whitton, Middlesex. The story of Whitton's garden history is a long and complicated one involving two of the major estates within the hamlet. What is today the Kneller Hall Estate, and home to the Corps of Military Music and the Royal School of Military Music, began as a large house built on the site of two cottages by Edmund Cooke around 1620. In 1709 it was acquired by the court painter to five monarchs, Sir Godfrey Kneller, and took the name Whitton Hall. Archibald Campbell, Lord Illay (sometimes Islay), later Third Duke of Argyll, began purchasing land in Whitton from around 1722 in the creation of his country seat in England. Here he built his famed ornamental garden and arboretum, as well as a separate estate for his mistress at Whitton Dean. In time the estate became known as Whitton Park, covering 200 acres. 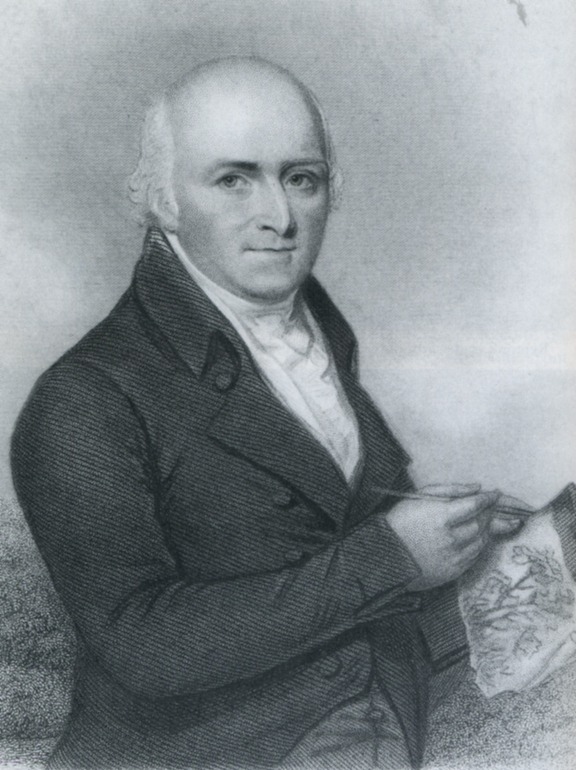 Humphry Repton's proposed alterations included the ornamental gardens at Whitton Park and Whitton Dean, and Whitton Hall. The effect as it stood was spoiled by the water divided into two distinct canals. Repton’s solution was to in-fill one channel and create a walkway passing over an island by two bridges. Calling attention to ‘the theory of Composition in Landscape Gardening,’ he proposed a leading feature to capture the eye from the principal rooms of the house. Whitton Park was originally a 17th century private estate in north-west Whitton. In 1722 it was acquired by Archibald Campbell, Lord Ilay, later Third Duke of Argyll, in the creation of his country seat in England. By 1750 the estate stood at 55 acres, his famed ornamental garden occupying 29 acres at the western end. Pasture and nursery land accounted for the rest, except for 10 acres at the eastern extent that was given over to Argyll’s mistress as an estate of her own called Whitton Dean. This was divided from the estate following Argyll’s death in 1760. The remainder was sold to George Gostling who sub-divided Argyll’s ornamental garden into Whitton Place and Whitton Park. George Gostling II inherited in 1797, harbouring ambitions to reunite the estate and have it entirely de-formalised to the modern landscaped taste. When available for purchase, he looked to include Whitton Dean as part of a new 200-acre estate. 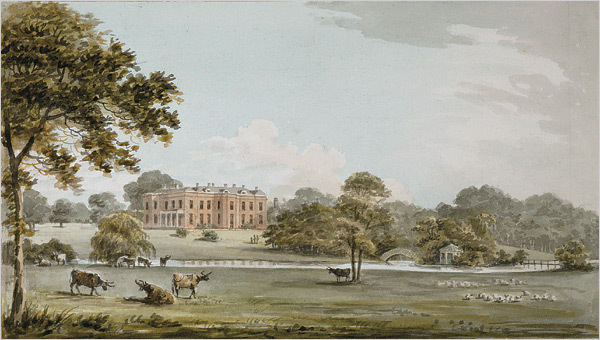 Taking the lead from his near neighbour, Samuel Prime at Whitton Hall, Gostling invited Humphry Repton to Whitton in 1797. 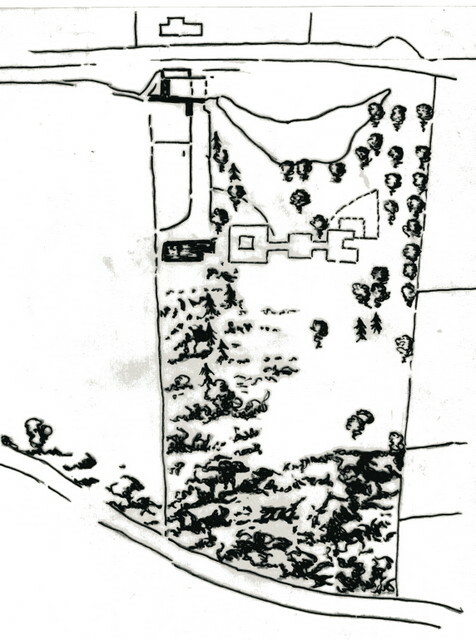 In a letter to Gostling dated 15 August that year, Repton departs from his general practice ‘to deliver in writing the outline of my opinion on all subjects in which I have the honour to be consulted.’ This was normally explained by maps or sketches that could ‘convey ideas better than mere words.’ In this instance, no survey was prepared for Whitton in its present state. Instead, he recommended staking out the ground to be enlarged as per their conversation. Argyll’s Palladian villa occupied the eastern quarter of the garden. His elaborate Greenhouse sat centre stage to the north overlooking a formal canal and observatory. Gostling looked to demolish the villa and turn the Greenhouse into a mansion. Repton considered the villa ‘certainly too valuable to be sacrificed for the sake of giving extent to your own grounds.’ Yet consideration had to be given to the privacy of both houses. This could only be obtained by crossing the (Hounslow) road dividing the ornamental garden and the rest of the estate. The brook that fed the ornamental water features ran under this road would be given ‘the appearance of a river,’ emerging at two corresponding gates at the foot of a bridge between the kitchen garden and the Chinese Warren. ‘Far more interesting than the meagre belt round the square field,’ Repton concludes. 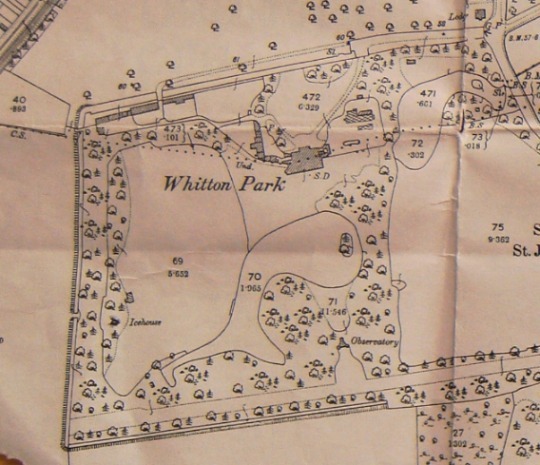 Repton’s recommendations began after 1805 when the Red Book for Whitton Park is dated. Meanwhile, Repton suggested a proper survey made of the ground, recommending Mr. Pricket, his own surveyor, ‘who is used to map for me & would mark me the situation of all the trees.’ From this he could ‘describe the shape of the Water,’ the walks and necessary plantation, as well as the extent of digging required to transform the ornamental features into more natural meandering sweeps of water. 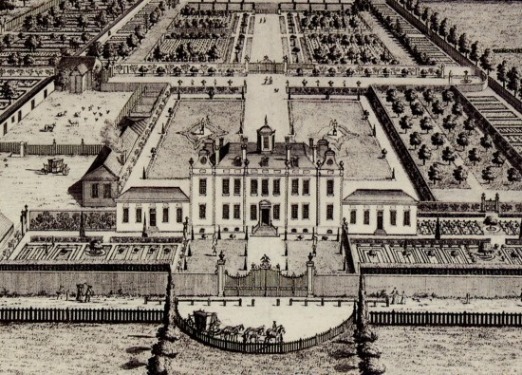 Around 1725, Archibald Campbell sent his gardener, Daniel Crofts, to assist in the creation of Marble Hill where Alexander Pope is thought by some to have been the ‘contriver’ of Henrietta Howard’s garden there. However, Campbell’s garden at Whitton Dean is more of a tribute to Pope’s exacting gardening principles. Campbell’s eccentric construct on gardening centred on finding the most unpromising location for his schemes where he would first create the garden, then build a house. In 1738 he installed his mistress Mrs Williams and his illegitimate son, William, in ‘the new house’ and garden at Whitton Dean. Following the death of Argyll in 1760, Mrs Williams inherited all his estate in England. When she died in 1762, it passed to William who sold it all, except for Whitton Dean. In January 1806 George Gostling purchased the 11-acre estate. It comprised a Palladian villa complementing Argyll’s own. 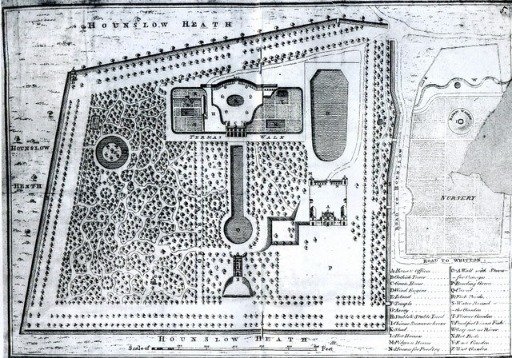 As well as offices, stables for 12 horses, a coach house, pleasure gardens and meadow, the ornamental garden laid out by Campbell had all but gone. The ornamental water feature, originally set within a gravel circus at the end of the main walk, survived in some form. After 1806 it followed the precepts laid down by Repton. Giving way to Murray Park in 1914, the yawning lung-shaped lake was filled in the 1930s. The higher ground remains more wooded in clumps towards the open valley where what few trees remain appear to climb the hill following the natural shapes of the ground in an apparent continuity tracing the hill in various directions. Nothing of the landscape survives at Whitton Park. What open ground remains from Whitton Hall awaits development following the planned withdrawal of The Royal Military School of Music, Kneller Hall, in 2020. Repton H. Red book for Samuel Prime Esq., Whitton. 1797. New York Botanical Garden. Reilley Collection 363. Reilley Coll in RBR. FDA690. W585 R4. A digital copy is available by arrangement at Twickenham Museum. Repton H. Red Book for George Gostling, Esq., Whitton Park. 1805. Auctioned by Maggs Bros. in 1947. Its whereabouts unknown. Copy of the letter from Repton to Gosling and extracts from the Red Book: Unpublished research paper by E Harris available by arrangement with Twickenham Museum. Foster. P and Simpson D.H. 1979 revised 1999. Whitton Park and Place. Borough of Twickenham Local History Society. Paper No.41. Harris. E. 2011. Whitton Brook. Borough of Twickenham Local History Society. Paper No.90. I have unfortunately left my cane at Whitton, which being a measure of 3 feet, and an old acquaintance, I should be very sorry to lose it and will beg one of your servants to leave for me at No.28 Dover Street.